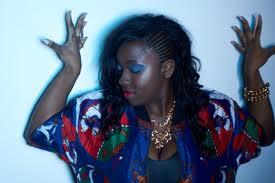 Lioness – South East London’s Fiercest Hip Hop Femcee Has Arrived! Hailing from South East London and single handedly putting the ‘Femcee’ back on the Hip Hop map, Izabelle ‘Lioness’ Fender is gearing up for the ride of her musical life as she sets the world on fire with her fierce combination of sassiness and hip hop swag! Lioness has brought the world’s attention to the UK’s Grime Hip Hop circuit. Grime being the technique in which she rhymes, is edgy, unique and sets Lioness in a lane all her own. She has two killer mixtapes infiltrating the music world right now, her debut ‘Loch Ness Monster” which spawned club bangers“ Good For A Girl” and “Woo Riddim” and her second mixtape aptly titled “Roarness” sees Lioness raise the bar even higher for herself as she catapults onto the global stage. Her growing fanbase agree that she has a winning technique with 20,000+ downloads and 2 Official Mixtape Award nominations to add to her rising popularity. Discovering Lioness in an article in US Hip Hop magazine “The Source “ under the heading “ Top 50 Femcees to Watch in 2013”, she sat in Top 4th position and I was immediately drawn to her solid presence reaching through the magazine page. That’s how fierce she is! She has carved out a path for herself that, in the past has been dominated by her male ‘Grime’ counterparts and she is leaving her mark. Performing on stages in front of audiences from London to Cyrus and beyond, Lioness really came to light when she performed as support act for Hip Hop heavyweight Rick Ross at his sold out O2 Arena show in London in 2010. She is hardworking and determined to break all stereotypes associated with female emcees in the Hip Hop game today. With the constant questioning of whether to label her as an emcee or a rapper on the lips of critics and wannabe hip hop aficionados out there, I say she is an intelligent and urber talented performer that utilizes her skills on many levels. This interview is about introducing an inspiring, focussed and talented young woman who is changing the game on the British Hip Hop circuit and is doing so with the stealth and grace of the jungle’s Queen. Lioness is ready to Roar! Who is Lioness and what has her journey been like in this game called Hip Hop? You have been referred to as one of the hottest Grime emcees to come out of the UK to date. Can you describe what Grime is and how you set yourself apart from your counterparts? Grime is the UK sound…the beats are usually grimey and dirty at 140bmp. In recent years, artists and producers have taken this sound and made slight alterations to it, making it I guess more current and able to stand alongside other music genres around the world however the basic Grime elements are still there. I’d say I set myself apart from my counterparts by drawing inspiration from any and everything, I tend not to limit myself to the conventions of what is the ‘usual’ for a certain type of music. I guess I operate on a no rules applied or allowed premise! I love music, so that’s what I concern myself with…everything else…I try to just let it fade lol. As a female hip hop artist representing the UK on the world stage, what do you think sets the UK Hip Hop community apart from the rest of the world? I think our accents add to our flair…everyone usually thinks the UK is just about crumpets, tea and the Queen…lol but there’s a lot more to us than that. There is a grittiness and style about the UK and we convey that feeling and that flair through our music and I believe that interests people, people are drawn to it. With artists such as Tinie Tempah and before him Dizzee Rascal who have raised global awarness for the UK, I think we’re at a time where people are just keen to see what else we have in store and I’m SO honoured to be a part of this. Congratulations on your spot in the US Source Magazine’s Top 50 must watch Fem-cees for 2013 – how has that article helped boost your profile and how do you feel about being in the Top 50? Thank You! It was SUCH a surprise! One of my supporters in Canada actually tweeted me to tell me she had seen me in the Magazine! It’s actually helped a lot…like I’m writing an interview for YOU and you’re from SYDNEY! The other side of the World!!! Means A Lot To Me, I’m SO Thankful. At times when I think no one is listening, I must remember that SOMEONE out there is! Oh dear, okay…I’ve been doing music since I was 14 years of age and I used to wear these feline contact lenses to school lol and it kind of stuck from then. However, as I’ve gotten older and been through a few life experiences, I’ve seen my strength and the fight I have in me and I couldn’t find a better way to describe myself. You have had amazing success online with over 20,000 downloads, 2 Official Mixtape Award Nominations and opened up for Rick Ross on his sold out BMF tour…..What’s next for Lioness to share with the world? OMG SO MUCH! I’m actually really excited to share more of my stories with the world. The Source Mag article has put things into perspective for me, so this year I’m going to release an EP called King Of The Jungle and start working on my album from now! Stay Tuned! Who would you say are your biggest influences / inspirations and why? Okay so, I have two…1st Beyonce. She inspires me SO much, in her field I think no one can repeat what she has done or quite do anything like her and that is how I would like to be in my own field. Also the standard she keeps up is unbelievable, she is in competition with herself and that is how I would like to be. For me, he is the best lyricist to date. The way in which he constructs his verses, rhymes, and flows and delivers his content is everything. He owns the complete package that I look for in a Rapper and I would like my verses to have that kind of standard as well. Also, as he wasn’t what you would expect a Rapper to be, I love the way he burst through the ideals of ‘normality’ and expectation and basically told the world to wake up. Your style is just as fierce as your talent – how would you describe your fashion style and who do you draw your inspiration from? I’m trying to go for that Fierce, Raw, Bossy Look! I guess I dress how I feel really. Erm…I would say with fashion in the UK, if you’re a ‘Female MC’ people expect you to be boyish and wear tracksuits all the time and that’s fine but as everybody like’s to state, I am a female…so why can I not wear heels and dress ladylike and be a rapper too? When I turn up to shows, people assume I’m going to sing and I like that because when I touch the mic…oh the shock lol. I also love the colour Black! It’s a colour that can be interpreted and used in so many ways…I love its versatility. It’s a colour I’m most likely to be seen in! What is the best piece of advice you have been given that helps you on this hip hop journey? Never think that you are not good enough, stay hungry, stay focused and most of all, NEVER COMPROMISE YOUR TALENT as that could be the very thing that makes you hate something you are supposed to love! ← Stan Bravo – The Worldwide Warrior!